Progress on rooting out graft is being put at risk by resistance to greater transparency, reports YIGAL CHAZAN. 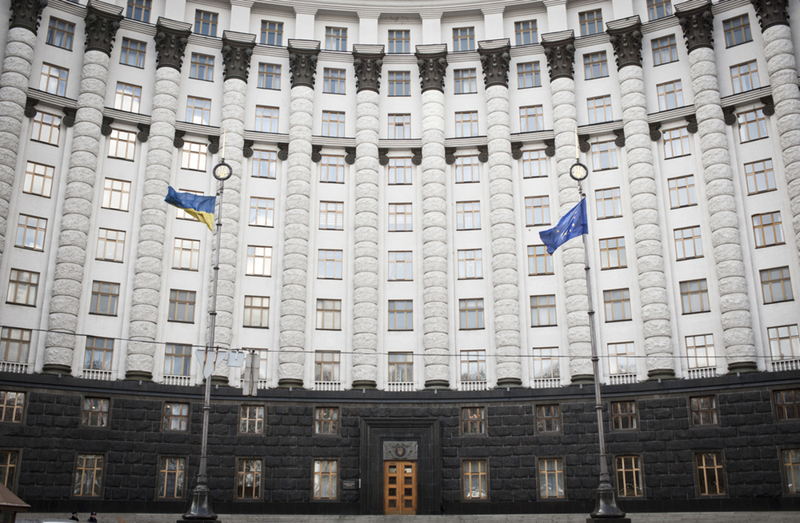 The Ukraine authorities' commitment to battling endemic corruption in the country is coming under increasing scrutiny, amid allegations of harassment and intimidation of anti-graft activists and attempts to weaken new institutions geared to promoting transparency and accountability. The developments threaten to undermine progress made in tackling widespread fraud. Over the last two years, there have been a number of advances. Of particular note was the launch of the National Anti-Corruption Bureau (NABU), an independent agency tasked with probing officials suspected of grand corruption, and a new law requiring public officials and lawmakers to declare their incomes and assets on an annual basis. Also significant have been the reform of medicine procurement procedures and the introduction of a new system for making state procurement tenders more transparent. Early in 2017 parliament passed a law requiring transparency activists to disclose their incomes and assets. Critics, such as Transparency International, said the legislation appeared designed to intimidate campaigners." The moves have come about largely through pressure exerted by Ukrainian reformers and activists together with western governments and institutions - the latter making financial and political support conditional on Kiev pushing ahead on anti-corruption reform. Some observers have suggested that recent apparent attempts to stymie the process are being driven by still powerful oligarchs and parliamentary allies determined to resist efforts to expose their assets and corrupt practices. The government has long been accused of backpedalling on post-Euromaidan anti-corruption pledges, but over the last year the accusations have grown louder. Early in 2017 parliament passed a law requiring transparency activists to disclose their incomes and assets. Critics, such as Transparency International, said the legislation appeared designed to intimidate campaigners. It was widely seen as retaliation for the part they played in lobbying for public figures to reveal their finances. 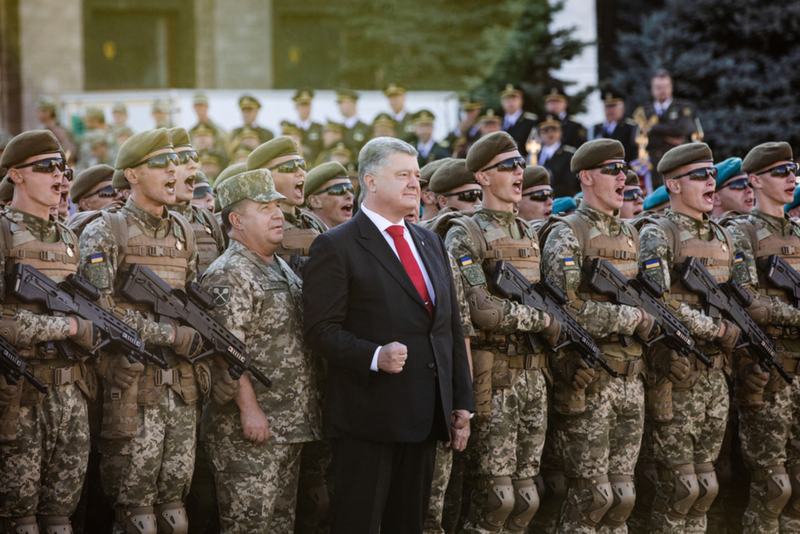 An international and local outcry prompted President Petro Poroshenko into something of a climb-down that has done little to assuage concerns. In July he introduced two new bills removing the disclosure requirement for activists, but compelling NGOs to release information about their funding and staff salaries on pain of losing their not-for-profit status. While presented as a compromise with civil society, Vitaly Shabunin, the head of the prominent campaign group the Anti-Corruption Action Centre, warned that the new measure - which has yet to be passed - would be used by the unreformed tax authorities to block the work of critical organisations. Shabunin, a strident anti-graft advocate, has become a thorn in the side of the government. His centre has been subject to a tax police investigation and he himself looks to have become the victim of selective justice. Following an altercation with a video blogger in June, he was charged with causing bodily harm. The offence has since been reclassified as assaulting a journalist - which carries a longer sentence. Yet Shabunin supporters point out that several recent attacks on the press went unpunished. The alleged intimidation of Shabunin comes as other activists say they are being denounced in the media, face judicial harassment, tax audits and are even physically attacked. In September, Dmytro Bulakh, head of the Kharkiv Anti-Corruption Centre board, spent nine days in hospital after being repeatedly punched. Then, in November, a judge noted for her anti-graft work, Larysa Holnyk, and her husband were severely beaten in Poltava. It is unclear who was responsible for the attacks. The NGO Transparency International Ukraine said it had been the target of a smear campaign because of its work campaigning for the recovery of assets allegedly stolen by former president Viktor Yanukovych. In February the Prosecutor General launched criminal cases against two highly regarded NGOs, Patients of Ukraine and the All-Ukraine Network of People Living with HIV/AIDS, which had been probing alleged health centre corruption. Both organisations, known for exposing fraud in the healthcare system, have been charged with misusing foreign donations. In November the authorities appeared to up the ante, moving against NABU, whose establishment two years ago was one of the demands made by the IMF and the European Commission for the relaxation of Eurozone visa restrictions on Ukrainians. 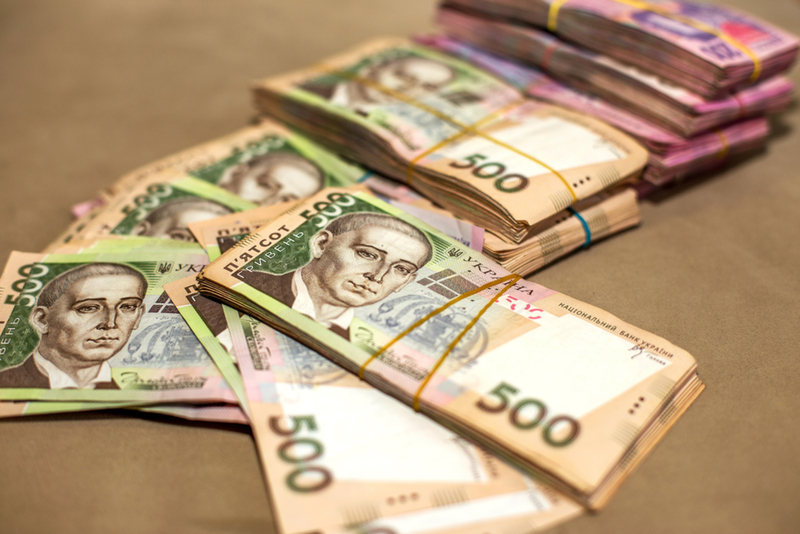 NABU claimed that its months-long undercover investigation into alleged bribery within the state migration service was sabotaged when one of its agents was arrested by the security services - a move the bureau alleged had been sanctioned by the Prosecutor General. NABU's director Artem Sytnyk told the American broadcaster VOA that the incident "further proves that it is impossible to investigate corruption at the highest level and not run into resistance". Sytnyk has also cast doubt over the effectiveness of a body responsible for checking public figures' asset and income declarations. In December Poroshenko's parliamentary allies voted to dismiss the head of parliament's anti-corruption committee Yegor Soboliev, who had previously blocked the president's attempt to appoint a politically pliant auditor of NABU. Poroshenko loyalists also sought to introduce a bill that would allow the assembly to remove Sytnyk, seen as too independent by many lawmakers. But the bid was derailed by a wave of international criticism, notably from the IMF and the World Bank, both alarmed that efforts to combat high-level fraud were coming under threat. Their concerns echoed earlier remarks by US Secretary of State Rex Tillerson likely to have resonated with many in Ukraine. "It serves no purpose for the Ukraine to fight for its body in (the) Donbas if it loses its soul to corruption," he said, referring to the conflict with Russia-backed separatists in the east of the country. He stressed that anti-corruption institutions must be "supported, resourced, and defended". NABU, which has received strategic support and training from the US and the EU, is currently investigating more than 450 cases of high profile corruption. Dozens of prominent officials have been charged with graft offences. Yet according to the US NGO Human Rights First, "for all the good investigative work done the system has largely failed to hold senior officials to account." Many believe that only the creation of a genuinely independent anti-corruption court will lead to more prosecutions. Poroshenko has been slow to set out plans for such a judicial body. He finally did so in December but the proposals fell short of World Bank and IMF expectations. Among the reservations were concerns that they did not guarantee the selection of independent judges and opened the way for more delays in the establishment of the court, on which further donor funds depend. Public disillusionment with the government's increasingly questionable commitment to transparency is becoming evident. A nationwide survey published in January revealed that 80% of Ukrainians felt that the battle against corruption had been unsuccessful while just under half regarded it as a complete failure. Protests over the lack of progress have been growing, but are - for now - nowhere near the scale of those of four years ago. Nonetheless, Poroshenko needs to show renewed commitment to tackling corruption. Failure to do so not only risks alienating Ukraine's western supporters and funders, but also weakening his own prospects by providing fuel for political opponents in the run up to parliamentary and presidential elections next year.